Due to Audi's now resolved dispute with its Chinese dealer network, BMW Group recently became the biggest premium manufacturer in the world's largest market. Cash-rich yet needing to be cautious due to its relatively small size compared to Volkswagen and Daimler, BMW is pouring money into renewing both its global model range and trying to create sub-segments which it could dominate in the 2020s. Long gone are the days when the 3 Series was the BMW brand's main generator of sales and income. SUVs, which will be looked at in the next feature, now account for a large chunk of BMW's profits but its passenger cars still matter greatly. This feature both examines the current worldwide line-up and looks ahead at models and derivatives to come. The second generation 1 Series, BMW's rival for the Audi A3, A3 Sportback and A3 Sedan, introduced the platform which is also used for the current 3 Series. The first variant was a five-door hatchback, which had been developed with the project code of F20. This had its global debut at the Frankfurt motor show in September 2011. F21 followed at the Geneva show in March 2012, initially as the M135i concept. A production version of this three-door bodystyle was then announced in May 2012 and launched in relevant markets from the third quarter of 2012. F21 brought with it the first application of all-wheel drive in the 1 Series. F21 brought with it the first application of all-wheel drive in the 1 Series (120d and M135i). The second generation 1 Series was also the first car in its global segment to be available with an eight-speed automatic gearbox. BMW India announced in November 2012 that it would begin assembling the 1 Series by late 2013. Assembly at the Chennai CKD plant commenced in August 2013. A facelifted 1 Series had its world premiere at the Geneva motor show in March 2015. Production commenced later the same month. The three-door is manufactured at the Regensburg plant, while the five-door is made at Leipzig. The 1 Series sedan was revealed by BMW and BBA (Brilliance BMW Automotive) in July 2016. It is for the Chinese market only, initially at least. The car was previewed by the Concept Compact Sedan which premiered at November 2015's Guangzhou motor show. The production car had its public debut at the Chengdu motor show in September 2016 and went on sale in China during March 2017. It might also be assembled in Brazil at the Santa Catarina plant. BMW caused a surprise by giving the 1 Series a second facelift. This was announced to the media earlier in May and on the same day as a facelifted 2 Series Coupe and Convertible. Unlike many other BMWs, there is no official Motorsport version of the 1 Series, i.e. an 'M1'. The third generation 1 Series range for 2019 should switch to BMW Group's UKL1 platform. Unlike the L7 platform as used by the current 1 Series, this is a front- and all-wheel drive architecture. There have however also been reports claiming that the next 1er will use the 35up rear- and all-wheel drive architecture. The 2 Series range consists of two distinct ranges: the rear-wheel drive Coupé and Convertible plus the M2, and the 2 Series Active Tourer and 2 Series Gran Tourer minivans. Firstly, F22. This, the 2 Series Coupé, replaced the 1 Series Coupé and had its world premiere at the Detroit show in January 2014. The first variants were on sale in European markets from March 2014. The 2 Series Convertible was announced by BMW in September 2014 with the "market launch" from February 2015. F23 had its public debut at the Detroit auto show in January 2015. As noted in the section above concerning the 1 Series, a facelifted 2 Series Coupé and Convertible line-up were announced by BMW earlier in May. No further styling updates are expected. The next generation two-door 2 Series range might switch to BMW Group's UKL1 platform. The next generation two-door 2 Series range might switch to BMW Group's UKL1 platform. There have, however, also been reports claiming that the 2er two-door successors will use the 35up rear- and all-wheel drive architecture. As for the M2, this is available only as a coupé. It was revealed to the media in October 2015, with production commencing later the same month at Leipzig. The car had its public debut at the Detroit auto show in January 2016. The M2 is powered by a 272kW (370hp) 3.0-litre turbocharged six-cylinder engine which produces 465Nm or up to 500Nm when overboost is activated. Transmission choice is between a six-speed manual or a seven-speed dual clutch transmission. Exterior changes include wider wheel arches, four tailpipes and bespoke front end modules. There will not be an M2 Convertible. A facelift is due later in 2017, and a second generation M2 in 2020. The flexibility of the Leipzig plant is illustrated by the fact that, among other models, the 2 Series Active Tourer is made there. Unlike the two-door cars, this standard wheelbase five-person people carrier/MPV/minivan uses the UKL1 front- and all-wheel platform. This is the same architecture which underpins all Mini models. The Active Tourer, a rival for the Mercedes-Benz B-Class, is 4,342mm long, 1,800mm wide and 1,555mm high. While this car is only 20mm longer than a 1 Series or X1, because its occupants are 30mm higher off the ground than in the latter and 110mm further from the ground than in the former, there is significantly more room. The 2 Series AT had its world premiere at the Geneva motor show in March 2014, arriving in LHD European dealerships four months later. The launch versions were all powered by turbocharged three-cylinder petrol and four-cylinder diesel engines. Six-speed manual gearboxes, as well as six- and eight-speed automatics are offered. Cars for China went on sale there in December 2014, as did xDrive (all-wheel drive) variants for certain countries. BMW and Brilliance would add production of the 2 Series AT at their Tiexi plant from 2016, the firms stated at April 2015's Shanghai motor show. Engines would also be manufactured at Tiexi. The powertrain plant has a capacity of 300,000 engines a year. The first to be built was the 2 Series AT's 2.0-litre petrol unit followed by the 1.5-litre three-cylinder petrol unit. A plug-in hybrid eDrive variant, the 225xe, had its world premiere at the Frankfurt IAA in September 2015. Details of that model will be discussed in the next report. BMW is due to facelift the F45 2 Series AT in the fourth quarter of this year and then replace it in 2021. BMW is due to facelift the F45 2 Series AT in the fourth quarter of this year and then replace it in 2021. The second generation 2 Series Active Tourer will use an updated UKL1 architecture. The seven-seat version of the Active Tourer is the 2 Series Gran Tourer. This turned up as a world premiere at the Geneva motor show in March 2015, going on sale three months later. F46 is 4,556 millimetres long, 1,800 mm wide and 1,608 mm high. Its luggage compartment can be extended in capacity from 645 to 805 litres. With the rear-seat backrests folded, this rises to 1,905 litres of load space. The Gran Tourer range at launch consisted of the 214d, 216d, 218d, 220d, 220d xDrive, 218i and 220i; whereas the AT range had the same variants plus a 225i and a 225i xDrive. The Gran Tourer should also be facelifted later in 2017 with the second generation model due out in 2021. The sixth generation 3 Series, each bodystyle of which is larger than its fifth generation equivalent, had its global debut in sedan form at the Detroit auto show in January 2012. The German and US market launches took place in February 2012. F35, a long wheelbase version of the then-new '3 had its global debut at the Beijing motor show in April 2012. All variants are built at Tiexi, BMW Group and Brilliance's second plant in the Chinese city of Shenyang. The 3 Series Li cars have a wheelbase which is stretched by 11cm over the 3 Series sedan's. They went on sale in China in July 2012. The 3 Series Touring (wagon) was announced in May 2012 and went on sale across Europe in September 2012. A 3 Series sedan variant was the first vehicle to be made at the vehicle plant that BMW announced for Brazil in October 2012. The first car, a 328i ActiveFlex, rolled off the line in October 2014. This facility, which has an initial capacity of 32,000 vehicles per annum, was erected in Araquari city in the state of Santa Catarina. A facelifted 3 Series range was revealed to the media in May 2015. The styling changes were mild but there were new engines, including the first application of BMW Group's turbocharged three-cylinder petrol unit. No further styling changes are expected. BMW launched the 3 Series GT at the Geneva motor show in March 2013. The first five-door hatchback in the history of the 3 Series, the Gran Turismo is 200mm longer than the 3 Series Touring, comes with a wheelbase stretched by 110mm and stands 81mm taller. Its 2,920mm wheelbase is in fact identical to that of the 3 Series Li, the long wheelbase sedan that is built in China. The 520 litre boot capacity outstrips that of the 3 Series Touring by 25 litres. All variants of the 3 Series GT were originally rear-wheel drive but xDrive versions of the 320d, 320i, 328i and 335i were added for relevant markets a few months after the car first went on sale. BMW's local assembly partner in Malaysia announced in February 2014 that the 3 Series GT would be added to its plant from mid-year. Due to how similar the 3 GT and 4 Series Gran Coupé are, perhaps only the higher margin 4 GC will have a successor. A facelift for the 3 Series GT was announced by BMW in June 2016. The next 3 Series GT may appear in 2020. However, due to how similar the 3 GT and 4 Series Gran Coupé are - both are D segment hatchbacks - perhaps only the pricier and therefore higher margin 4 GC will have a successor. The seventh generation 3 Series is due out in 2019. It will use 35up, which is also known as G3UP or CLAR (Cluster Architecture). This architecture was introduced by the 7 Series in 2015, replacing L7, an older RWD-AWD platform. BMW will also make this car at its forthcoming second manufacturing plant in North America. The company stated in July 2014 that it will have a new factory in San Luis Potosí up and running at an annual capacity of 150,000 vehicles a year in 2019. The Mexican facility will have body, paint and assembly shops. Engines and transmissions will, however, be imported from Germany. BMW stated in November 2015 that its South African plant will phase out 3 Series sedan build. Rosslyn will instead produce the next X3. 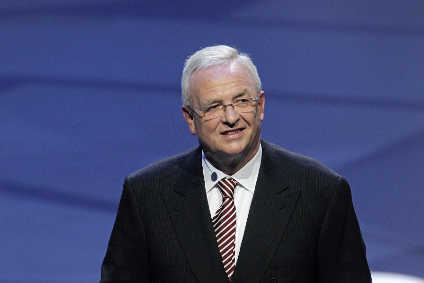 In March 2016, Oliver Zipse, BMW Group's head of Manufacturing, told the media that the Regensburg plant would in the future produce front-wheel drive/all-wheel drive platform models only. This means the next 3 Series will not be built there. F80, which is the current M3 sedan, is powered by a 431hp 3.0-litre biturbo six-cylinder engine, whereas the previous model had a turbo V8. The engine was developed at BMW's Preussenstrasse facility in Munich and is manufactured in Austria at a BMW powertrain plant in Steyr. The car's global debut was at the Detroit auto show in January 2014, alongside the identically powered M4 Coupé. Sales commenced from May 2014. Whereas the former M3 was available in multiple bodystyles, the two-door cars changed names to M4 in 2014. See below for their details. While the M3, M4 Coupé and M4 Convertible are powered by an identical engine, the M4s are made at BMW Group's Munich plant, and the M3 in Regensburg. There is no M3 Touring, M3 GT, M3 long wheelbase or M4 Gran Coupé. A facelifted M3 was announced by BMW in May 2015 and had its public debut at the Frankfurt IAA four months later. No further changes are expected, with the next generation M3 due out in early 2020. This will have the same architecture as the next 3 Series and it should again be available solely as a sedan. The 4 Series, like the 3 Series, uses BMW's L7 platform. The first two cars in this range replaced the 3 Series Coupe and Convertible from the fourth quarter of 2013, while a hatchback, the 4 Series Gran Coupé, had its world premiere at the Geneva motor show in March 2014. The GC shares its length, width and wheelbase dimensions with the two-door Coupé, but the roof of the five-door car is 12mm higher and 112mm longer. At 480 litres, the boot is also 35 litres more commodious than that of the Coupé. Production of the Gran Coupé commenced during the second quarter of 2014. One of the curiosities of the 4 GC is that it is 220mm shorter than the 3 Series GT, another D segment hatchback. As noted in the section above on the 3 GT, for this reason, BMW might only replace one of the two. Logically, it would be the higher margin 4 Series hatchback. The 4 Series Convertible, which, unlike its rival the Audi A5 Cabriolet has a folding hard roof, had its global debut at the LA auto show in November 2013. It went on sale in North America and Europe during the first quarter of 2014. Final assembly of the retractable metal top takes place at Webasto-Edscha's convertible roof factory in Regensburg on the BMW factory site. Pre-assembly is at Hengersberg in Lower Bavaria. All 4 Series variants are built in Germany: the Coupé is manufactured at Munich, the Convertible at Regensburg and the Gran Coupé at Dingolfing. Facelifts for the 4 Series range premiered at the Geneva motor show in March. No other styling updates are expected to appear. The replacements for the 4 Series Coupé, Convertible and Gran Coupé will begin to appear from 2020. Like the next 3 Series, these cars will be 35up-based. In March 2016, Oliver Zipse, BMW Group's then head of Manufacturing, told the media that the Regensburg plant would in the future produce front-wheel drive/all-wheel drive platform models only. This means the next 4 Series Convertible will not be built there. The poor selling 5 Series Gran Turismo is expected to be replaced by the future 6 Series GT. The seventh generation 5 Series uses 35up, with the model range available as a sedan and Touring. The poor selling 5 Series Gran Turismo, which is part of the sixth generation range, won't be directly replaced. Instead, it is expected to become the 6 Series GT, the replacement for the 6 Series Gran Coupé (see below). In July 2015, there were reports out of Austria which claimed that Magna Steyr would produce between 50,000 and 70,000 units per annum of the G30 (standard wheelbase sedan). BMW refused to comment but the company had stated previously that Magna would remain a contract manufacturer for the group after production of the first generation Mini Paceman and Countryman ended. In September 2016, several months ahead of the G30's public debut, BMW confirmed that Magna Steyr would indeed be building the 5 Series, supporting the company's own main Dingolfing production plant. The G30 sedan had its public debut at the Detroit auto show in January 2017. The car is 36mm longer (now 4,935mm), 6mm wider (1,868mm) and 2mm taller (1,466mm). Boot space is up by 10 litres to 530l. G31, the 5 Series Touring (estate/wagon), had its public debut at the 2017 Geneva motor show. The long-wheelbase 5 Series Li sedan, built in Shenyang by the Brilliance BMW joint venture, had its world premiere at AutoShanghai in April. The quad-turbo in-line six-cylinder 3.0-litre diesel has 294kW (400hp) and 760Nm of torque. The quad-turbo in-line six-cylinder 3.0-litre diesel from the 7 Series is also now available in the 5 Series. It is what powers the M550d xDrive. This has 294kW (400hp) and 760Nm of torque. Constellium is the supplier of the sedan and Touring's aluminium automotive body sheets and crash management systems. The company claims that the use of its lightweight materials has cut 62kg from the weight of G30 and G31 compared to the previous model. The Tier 1 supplies the coils used for both inner and outer parts such as doors, roof, front wings, boot/trunk lid and associated structural components. The outer panel of the bonnet and front wings are made of Surflex. 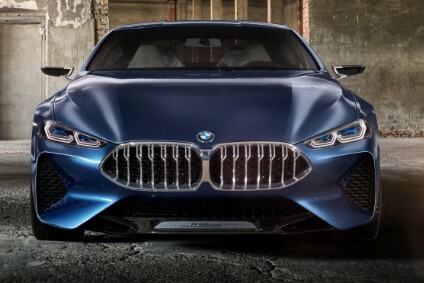 As is BMW's custom, ever more engines will be added to the line-up in the coming years, and there should be a mid-life nip and tuck in late 2020. The eighth generation 5 Series will then be revealed in 2024. The 5 Series GT is a curious car in that it isn't a 5 Series at all, but a hatchback version of the old 7 Series. The wheelbase of the production car is identical to that of the standard wheelbase (F01, 2008-2015) 7 Series and the car itself is a giant in its segment: it is meant to compete with the Audi A7 and Mercedes-Benz CLS-Class. BMW tried positioning it as a high-priced model but this strategy didn't work, especially in the USA. The GT was the first bodystyle of the former 5 Series. Now, it is the only one still in production. The Gran Turismo has a boot and hatchback arrangement. The idea is that opening only the boot, not the tailgate, means the cabin's temperature is unaffected - handy in extreme hot or cold conditions. The car was previewed by the Concept 5 Series Gran Turismo which debuted at the Geneva show in March 2009. The world premiere of the production model was at the Frankfurt motor show in September 2009, with European sales commencing the following month. A facelifted GT was announced by BMW in May 2013. As well as the styling update, the car gained a further 60 litres of boot space. The E07 5 Series GT is expected to be phased out later in 2017 and to be replaced by a 6 Series GT. Unlike any previous model, the new M5 will have all-wheel drive and torque in excess of 700Nm. The other car in the 5 Series range is the future M5. Unlike any previous model, the new sedan will have all-wheel drive and torque in excess of 700Nm. Power from the car's biturbo V8 will be in excess of 450kW. The new M5 will make its world debut at the Frankfurt IAA in September. It is due to have a facelift in 2022. The seventh generation M5 should be released in 2025. The 6 Series originally consisted of three cars: Coupé (F12), Convertible (F13) and Gran Coupé (F14). The Convertible appeared first, debuting at the Detroit auto show in January 2011. The Coupé had however been revealed in near-production form as a concept at the Paris motor show in September 2010. A facelifted 6 Series range had its world premiere at the Detroit auto show in January 2015 and there was no further news until February this year, which was when BMW stopped building the Coupé. The 6 Series Gran Coupé is also now nearing the end of its production run. This low roof sedan with pillarless doors has styling which was influenced by both the CS concept from the 2007 Shanghai motor show and the Concept Gran Coupé from the 2010 AutoChina motor show in Beijing. The production version of the 6 Series Gran Coupé had its global debut at the Geneva motor show in March 2012. The car was launched with both petrol and diesel engines, as well as rear- and all-wheel drive variants. The GC sits on a longer wheelbase (2,968mm) than the Coupé and Convertible (2,855mm). The wheelbase is in fact identical to that of the former standard wheelbase 5 Series sedan. The current generation M6 Coupé had its global debut at the Geneva motor show in March 2012. The M6 Convertible followed one month later at the New York auto show. Drive is to the rear wheels only via a seven-speed dual clutch gearbox. Unlike the previous shape M6, the current one does not have a V10 engine but instead a turbocharged V8. A facelifted range had its world premiere at the Detroit auto show in January 2015 alongside the other similarly updated 6 Series cars. No further changes are expected. The replacements will be called M8 Coupé and M8 Convertible. See below for details. The M6 Gran Coupé is expected to be replaced by a car called M6 GT. The M6 Gran Coupé had its world premiere at the Detroit motor show in January 2013. Like the coupe and convertible, it is powered by a 552hp 4.4-litre turbocharged V8. The M6 Gran Coupé went on sale across Europe from April 2013. A facelifted model had its world premiere at the Detroit auto show in January 2015. The M6 Gran Coupé is expected to be replaced by a car called M6 GT. The next 6er should be restricted to one body style, the 6 Series GT. This model will be the replacement for two cars: the 5 Series Gran Turismo and the 6 Series Gran Coupé. It is intended to be a rival for the next Audi A7/S7 and the successor to the Mercedes-Benz CLS-Class, which could change names to CLE. Expect it to be released in 2018, and for it to be another model on 35up. The current 7 Series, new in 2015 and due a facelift in 2018, lost an average of 130kg compared to the former '7, thanks to much aluminium and carbon fibre in its construction. There are two wheelbases, with a third as a rival for the Mercedes-Benz S-Class Pullman possible. This should come later in the car's lifecycle and could be sold as the 9 Series (see below). This was the first BMW which could park itself. The standard car (G11) is 5,098mm long, 1,902mm wide and 1,478mm high, making it 19mm longer and 7mm taller than its predecessor. Width is unchanged. Measuring 5,238mm from end to end, the LWB G12 is 139mm longer than the G11 and 18mm longer than the car it replaces. Even though the 35up architecture was new, wheelbases are the same as those for the previous L7 platform cars. Manufacturing and SKD/CKD assembly is at the same locations as for the previous F01-F04 series 7 Series sedan. Dingolfing, the lead plant, commenced series production in July 2015. Assembly in Jakarta was added in December 2016. The car's main markets are China, the US, Germany, the Middle East, Russia, South Korea, the UK, Japan, Indonesia and India. This was the first vehicle in the BMW Group's core model portfolio to use industrially-manufactured carbon fibre in combination with maximum-strength steel and aluminium in the body structure rather than as a visible shell material. Carbon fibre is used for the roof bows, to reinforce the roof frame, the B and C pillars, the sills, the centre tunnel and for the rear shelf. BMW Group uses wet pressing and hybrid pressing to build the 7 Series. BMW Group uses wet pressing and hybrid pressing to build the 7 Series. In wet pressing, carbon fibre fabrics or netting, impregnated with resin, are pressed in a three-dimensional moulding die while wet and then hardened. The dry pre-shaping previously used in the Resin Transfer Moulding (RTM) process is no longer required. In hybrid pressing, carbon-fibre fabrics impregnated with resin, also still wet, are placed in a moulding die with sheet steel, then pressed and hardened. This bonds the steel and carbon materials to form a hybrid component. Both processes enable production of up to several thousand carbon components per day, with compact systems engineering and short cycle times. As well as a petrol V8, the car is available with BMW's B57 (replaces the N57) and B58 engines. These are 3.0-litre six-cylinder diesel and petrol units for the 730d and 740i respectively. All come with a standard eight-speed ZF automatic gearbox. The 730i, meanwhile, is sold in China, Turkey and selected other markets. It is powered by a turbocharged 2.0-litre four-cylinder petrol engine. A 4.4-litre V8 (750Li xDrive) and a quad turbo diesel (750d xDrive) were added in 2016. The latter is a 3.0-litre inline six-cylinder engine with outputs of 294kW/394hp and 760Nm. The four-turbo engine replaced BMW's triple-turbo inline six. The first cars were delivered to customers at the end of October 2015. The M760Li xDrive had its world premiere at the Geneva motor show in March 2016. It is powered by a 6.6-litre biturbo V12 which develops 441 kW (600hp) and peak torque of 800Nm (590lb-ft). BMW claims the 0 to 100 km/h (62 mph) time is 3.9 seconds on the way to an electronically limited top speed of 250 km/h (155 mph). If the optional M Driver's Package is specified, the speed limiter doesn't cut in until 305 km/h (189 mph). An eight-speed Steptronic Sport transmission is standard. Worldwide, roughly 80 percent of build is the G12 long-wheelbase, with the standard G11 being sold mainly in European countries. The next 7 Series should be the first vehicle for a second generation 35up architecture. The next 7 Series is due for release in 2022. It should be the first vehicle for a second generation 35up architecture. G15, a forthcoming rival for the Mercedes-Benz S-Class Coupé, was announced by BMW just ahead of the appearance of a design study/prototype. The Concept 8 Series Coupé was revealed on 27 May at the Concorso d'Eleganza Villa d'Este. A day after the debut of the 8 Series concept, an M8 prototype covered in camouflage was shown at the Nürburgring 24-hour race. This sounded as though it was powered by a forced induction V8. There was no M8 in the previous 8 Series line-up so BMW will be entering new territory with such a model. The Mercedes-AMG S 63 Coupé & S 65 Coupé, as well as the R and SVR versions of the Jaguar F-TYPE will be the target competitors. The 8 Series Coupé should be released in late 2018 with G16, the 8 Series Convertible, to follow a year later. There will also be an 8 Series Gran Coupé or GT (G17). Again, the open top versions of the F-TYPE and S 63/S 65 will be the cars which BMW will be going after. The 9 Series would be a 7 Series-based car; a bridge between the BMW and Rolls-Royce price ranges. The proposed 9 Series would be a 7 Series-based car and a bridge between the BMW and Rolls-Royce price ranges. It would use the same platform as the 7 Series but be even longer than the extended wheelbase 7 Series Li. The Grand Lusso Coupé Pininfarina, a concept at the Concorso d'Eleganza Villa d'Este 2013, is presumed to have been the first preview of this potential addition to the BMW range. A second prototype, the Vision Future Luxury, premiered at the Beijing motor show in April 2014. A production model will likely appear in late 2019, heralded by a Concept 9 Series a year to 18 months before then. Should the US and Chinese high-end luxury car markets enter a downturn in 2018 or before then, there is a chance that the 9 Series might be shelved or delayed. In that case, G17 would become the effective top model in the BMW range. Additional data on vehicle lifetime and future product plans, such as model code names, are available in PLDB from QUBE.